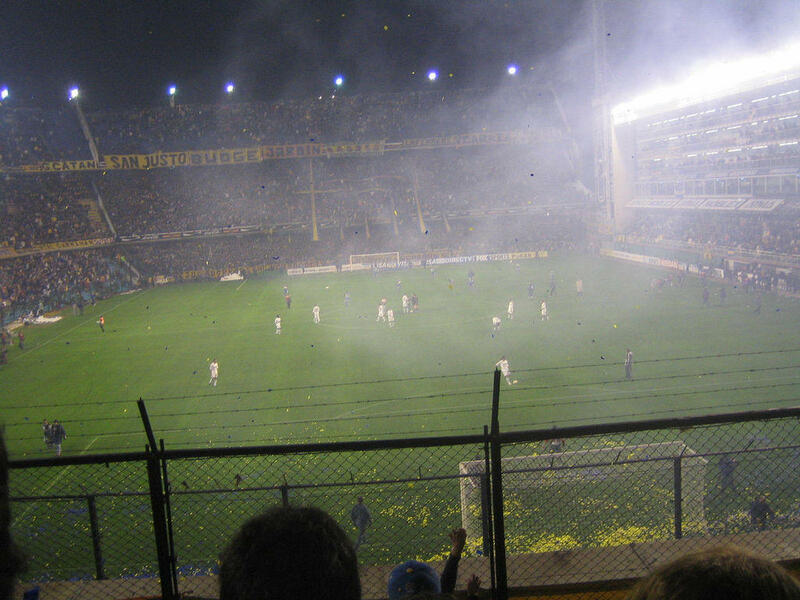 Buenos Aires Boca Juniors vs Colombia´s Once Caldas. Boca takes their revenge by easily winning 3-1. I am not sure what the barbed wire fence is for!? ?